Capriotti’s found their site selection processes to be both slow and rigid. Since making PiinPoint their primary site selection software, Capriotti’s has been able to mitigate much of their expansion risk by opening in locations where they know they will be successful. The results have been immediate, Capriotti’s Real Estate team has been able to save over 15 hours per week on site selection and market research using PiinPoint. 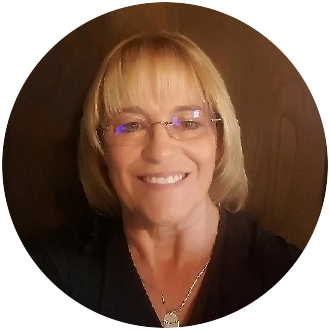 Site Selection was a time consuming process before Barbara started using PiinPoint. She would visit every existing and potential site in the country in order to create a 12-page, 87-question report. Barbara would often have to manually count the number of retailers within a quarter-mile of a prospective location to fill in the report. With PiinPoint, Barbara and her team can pull up the demographic information, competition and anchors to see the complete market landscape. Having this information allows them to filter out locations that are a poor-fit and fill in a significant portion of their site reports before going on-site. Before using PiinPoint all the information they had on a site was fragmented between consultants and software. To make things worse, unless expensive updates were purchased their data would remain static. With PiinPoint, Barbara and her team got access to a near real-time dataset that empowered them to be more agile and confident in their decisions. All of their data and reports are now stored in a single platform, allowing them to pull up all of their insights into key meetings to drive the decision-making process. PiinPoint’s short learning curve saves Barbara and her team over 15 hours every week on research and reporting. New locations opened with PiinPoint are out-performing previous ones by almost 100%. Born out of Wilmington, Delaware, Capriotti’s aims to create sandwiches for “real turkey lovers”. They are now a national brand, serving their signature sandwiches in 17 states across the United States. Director of Real Estate, Barbara Vinson leads Capriotti’s expansion into new states, helping franchisees find the best locations for success.